GANDULES! Come to Barcelona to Watch Movies. You spent the whole day visiting the Barcelona landmarks, now it’s time to sit back and relax, literally. 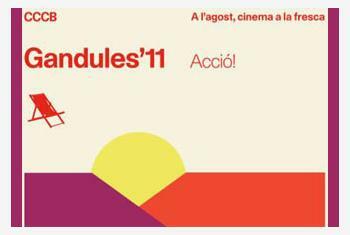 If not on the sofa of our Barcelona apartments, choose a deck chair at CCCB Gandules Open Air Cinema. The CCCB (Centre of Contemporary Culture of Barcelona) is a nonstop cultural factory, a true resource for our city. 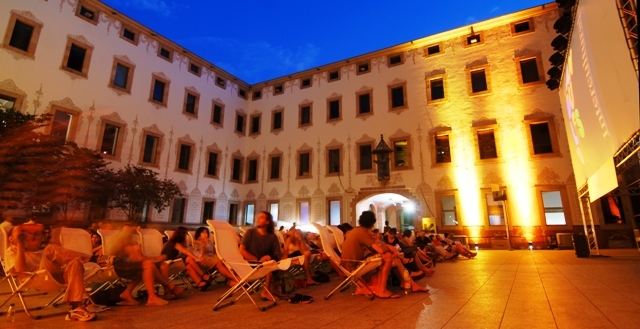 And when August comes, it delights us with a wonderful open air cinema venue in the inner courtyard “Pati de les Dones” (women’s courtyard). All the films are carefully selected and in original version with subtitles in Spanish and Catalan. This year the stories are about “social inequalities, difficult times, the pressure of money and its pursuit which make us think about new approaches and possibilities”. Godard, Kurosawa, Losey, Denis among many others will keep us enchanted and forgetful of the heat throughtout the whole month. You can consult the programme here. By the way, “gandula” means loafer, so be lazy like a local can be, but don’t be late to make sure to grab your deck chair. Free entry. Don’t forget to follow us on Facebook and Twitter for daily updates on Barcelona! This entry was posted in Events, Home and tagged barcelona, Barcelona culture, barcelona events, cccb barcelona, cinema in barcelona, gandules barcelona, open air, summer nights. Bookmark the permalink.